You’ve seen this image all over the place, right? You’ve heard talk of RSS and syndication, yeah? Well, if you’re not completely sure what it’s all about, I’ll try to steer you in the right direction. RSS is generally considered to be an acronym for Really Simple Syndication. Bear with me here – that’s the last we’ll talk about acronyms. RSS is an internet technology that helps people keep track of what’s happening on their favourite web sites. Back in the dark ages of the late 20th and early 21st century, if you wanted to keep up with new stuff on a web site, you had to bookmark the site and continually go back to see if anything new had happened while you were away. What, are we some sort of serfs? Why should we do all the work? This surfing thing is supposed to be easy. RSS allows the web site to tell you when it updates. No more checking back again and again. RSS brings the new stuff to you. 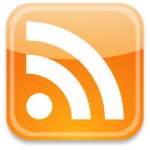 With RSS, you can subscribe to a particular web site and that site will feed its news to you. This feeding of news is, oddly enough, often called a news feed. The important word here to help understand RSS is subscribe. It’s like subscribing to a newspaper and having the paper-boy throw it at your door every morning. When you subscribe to a news feed, RSS throws your internet news into a news reader. “Woah, slow down there poindexter,” you’re thinking. No problem. A news reader or RSS reader or feed reader is just an application or website that handles any RSS feed you subscribe to and serves you up piping-hot new articles and news. There are tons of news read applications available – many of them free downloads – but possibly the best starting point is one of the web-based readers. I like (and use) Google Reader. It’s pretty easy to use. You’ll see any news feeds to which you’ve subscribed on one side and clicking on one will show you new posts and articles from that site. The easiest way to learn is to have a go. Go on. Honest, its really easy. So how do I subscribe to something? The first thing to do is to look for that big orange logo. The one at the top of this post is pretty close to the official RSS logo and is frequently displayed on web sites (you can see ours up at the top of the page on the right). People, being the creative souls they are, often tinker with the logo and you may well see variations of it – slightly different shapes and so on but it will usually appear in some shape or form on any site (especially blogs) that regularly updates its content. What if I can’t see the logo on a site? Check your browser’s address bar. If a site has a feed, the address bar should show an RSS logo over at the right hand side of the site’s address or URL (as shown in the images below). All browsers have similar icons – they may differ slightly in colour or look but they should be there. If you click these icons, you should be prompted to subscribe to that site’s feed. Note: sometimes, the site might prompt you with more than one feed option – if it does, just choose RSS 2.0 and ignore anything else. Oh, to make your life easier, it’s a good idea to go to the Preferences of your particular internet browser and set your Feed Reader/RSS Reader/Web Feed to use Google Reader (or the reader of your choice). What if I don’t want to use a Feed Reader? We know that you might have gotten this far and thought that it all sounds like a lot of hassle. That’s ok – luckily, there is another option. Many sites, Guitarless included, offer a feed of their new posts direct to your email. Subscribing via email means you can get a regular email with the content of any new posts or articles straight to your inbox. Easy peasy. While RSS offers a little more flexibility, email feeds are a perfectly valid substitute for anyone that doesn’t want to bother with RSS. Just one thing. 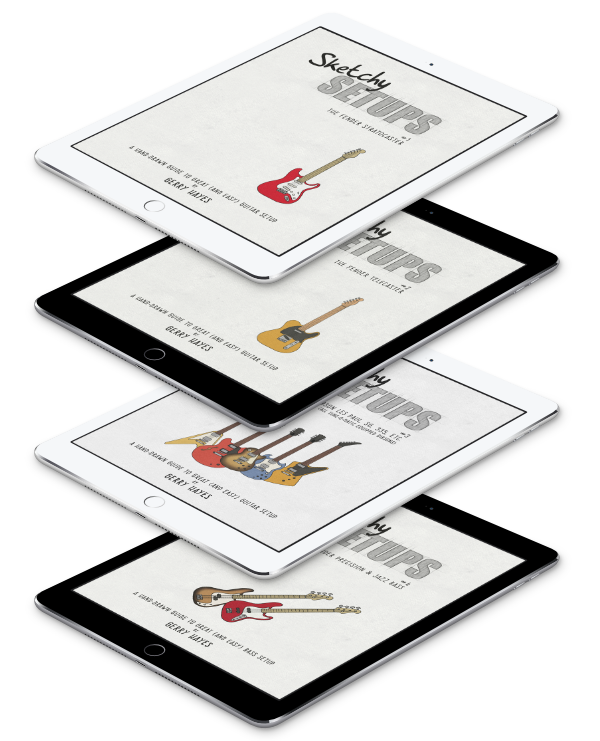 Why not exercise your new-found knowledge of RSS and news feeds by subscribing to Guitarless? You know it makes sense. Get all the Guitarless Goodness with less mess, muss and fuss. To subscribe to Guitarless via RSS, click here. To subscribe to Guitarless via email, click here.